Property tax reform advocates are excited about the proposal but some educators say it doesn't go far enough to address funding shortfalls for schools or help students who are not academically succeeding. "Taxpayers are going to get big tax breaks and support education," said Nicole Conley-Johnson, chief financial officer at Austin ISD. "But when you get into the details of it, are you really going to be ... putting money back into the system that's going to allow your local schools to make the progress we need?" The governor's office didn't respond to requests for comment Thursday night. It showed the proposal, dated Oct. 29, to educators and members of the business community this week, before a school finance commission he helped to create has finished its work and released its recommendations to lawmakers. Scott Brister, the chair of the school finance commission and a former Texas Supreme Court Justice, said he did not know of any proposal from the governor's office and had not seen it. Appointed to the commission by Abbott, he said he didn't think the governor should have run the proposal by members first. "I will certainly want to read it," he said. "This is an independent commission. Our duty is to make an independent report." But Conley-Johnson and state Rep. Diego Bernal, D-San Antonio, both appointed to the commission by House Speaker Joe Straus, disagreed. "I had always feared the school finance commission was window dressing," Bernal said. "If the governor intends on creating and floating a school finance bill before we've finished our work and without consulting all of us, that very well could confirm my fears." The two main arms of the proposal would give school districts financial incentives to improve student performance, as well as cap the revenue school districts can collect from property taxes in order to decrease tax rates. 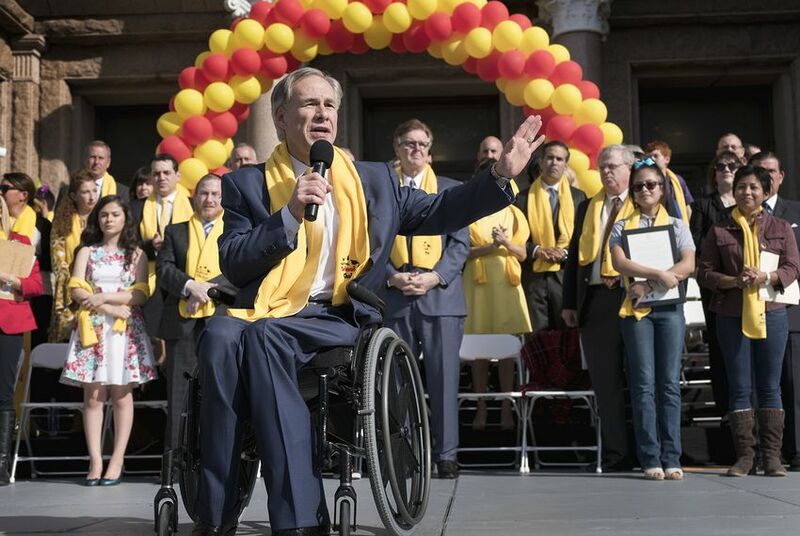 The governor's report appears to propose replicating a Dallas ISD program giving stipends to high-quality teachers who choose to work in struggling schools — cited as crucial in helping the district whittle down its list of low-performing schools. "It would be a really significant step in the right direction for businesses and families," said Kara Belew, senior policy advisor at the conservative Texas Public Policy Foundation. "It would certainly benefit a lot of our businesses and families looking at bills that would make it hard to stay in homes or say in business." But Bernal said he is concerned that the revenue caps serve as the "cornerstone" of a proposal for school finance reform. "It would be a shame if school finance was merely a Trojan horse for his property tax agenda," he said. "What that means is that it's not about the students at all."